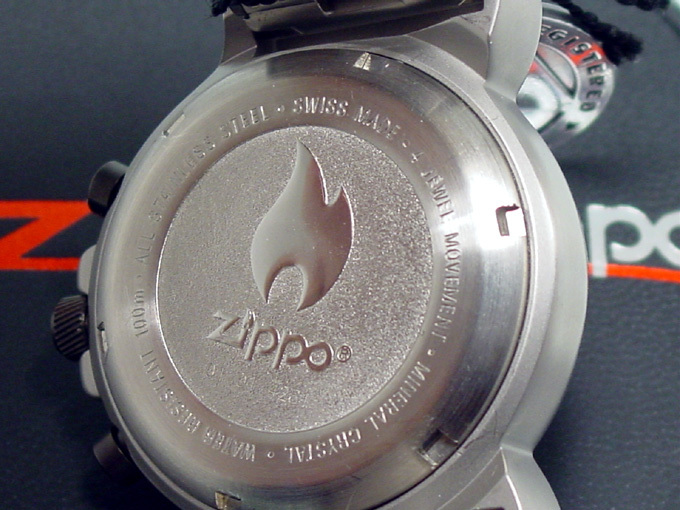 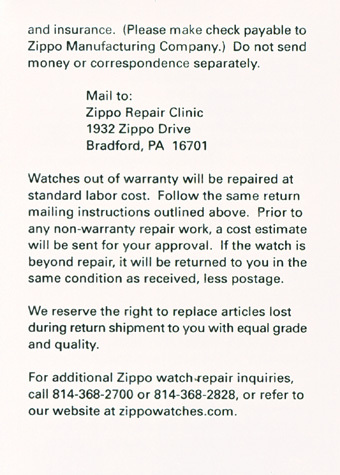 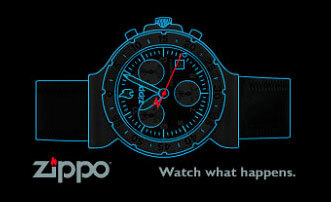 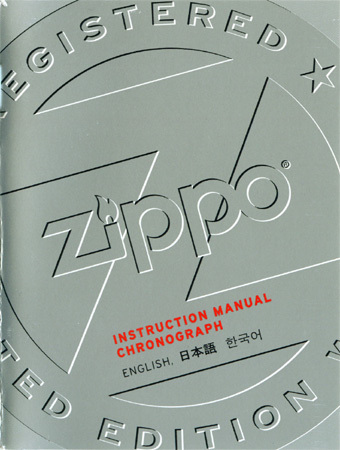 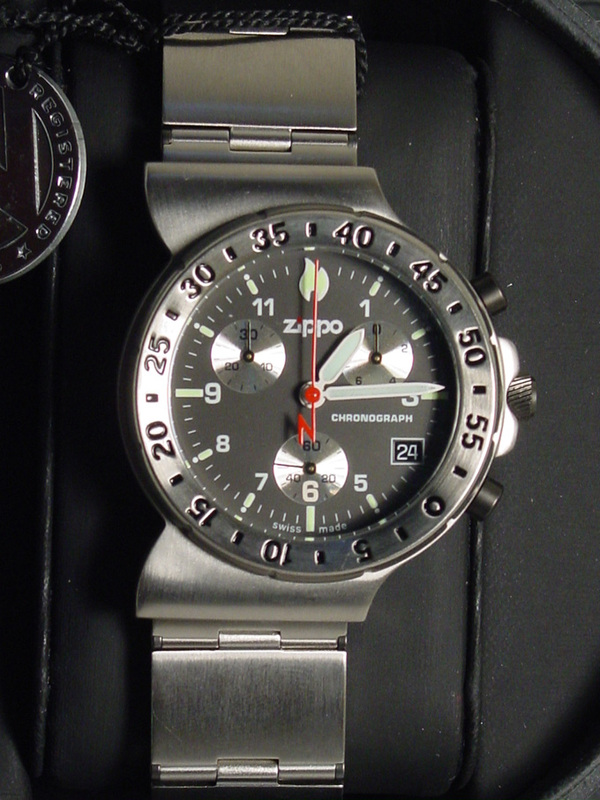 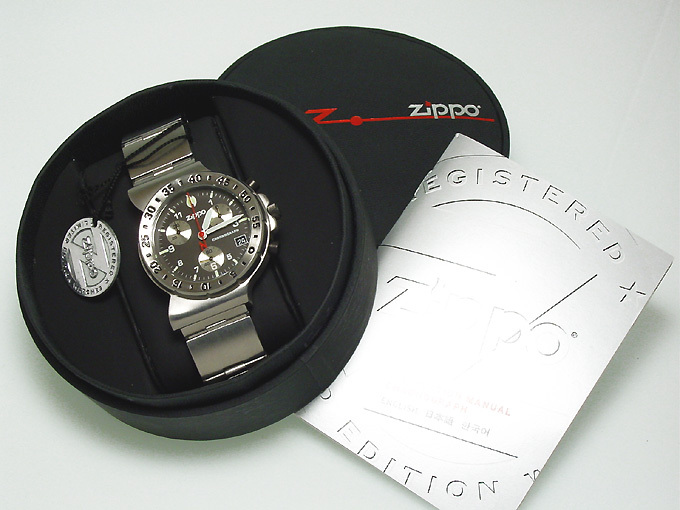 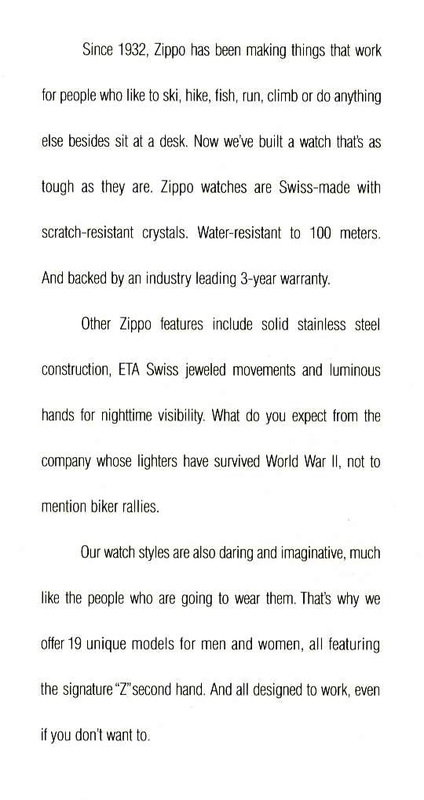 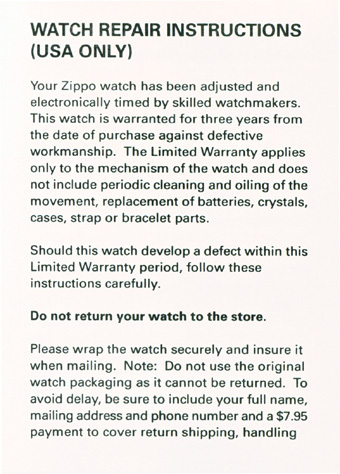 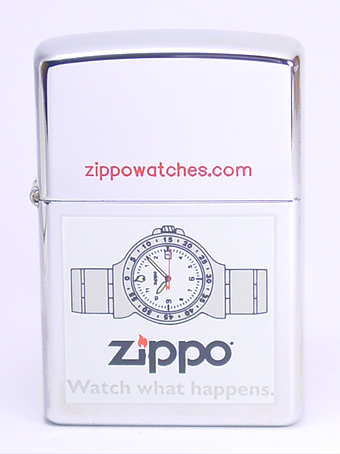 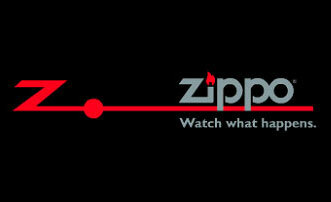 In 1999 wristwatches were added to the ZIPPO Mfg. 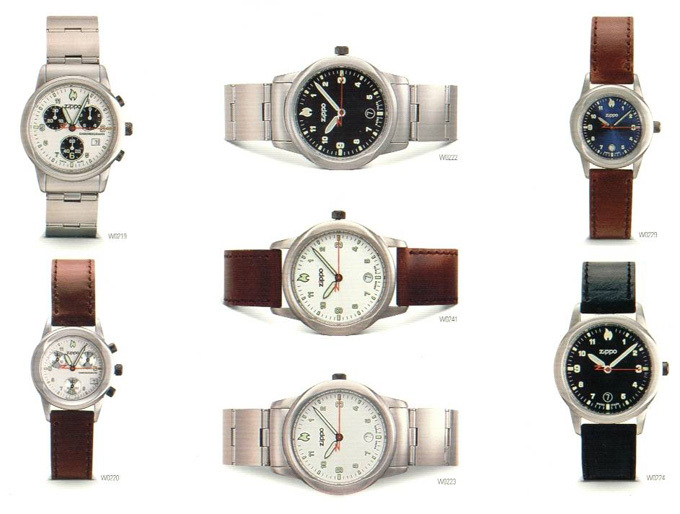 Co. product line. 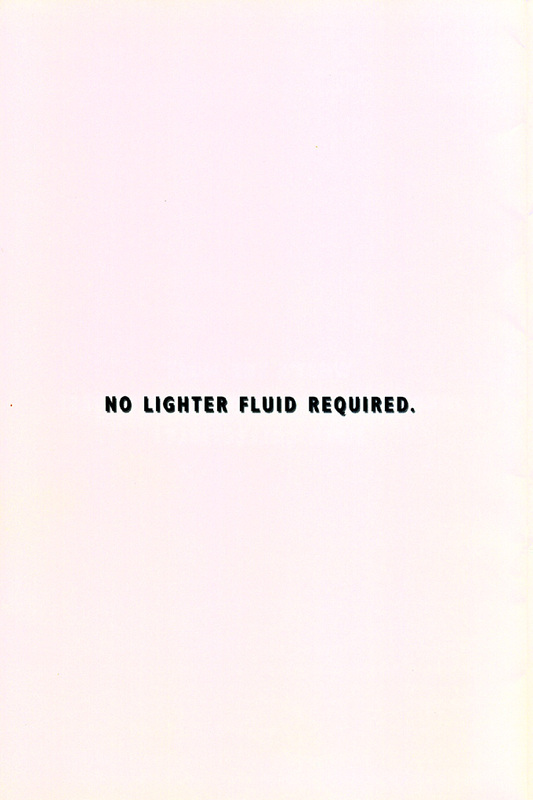 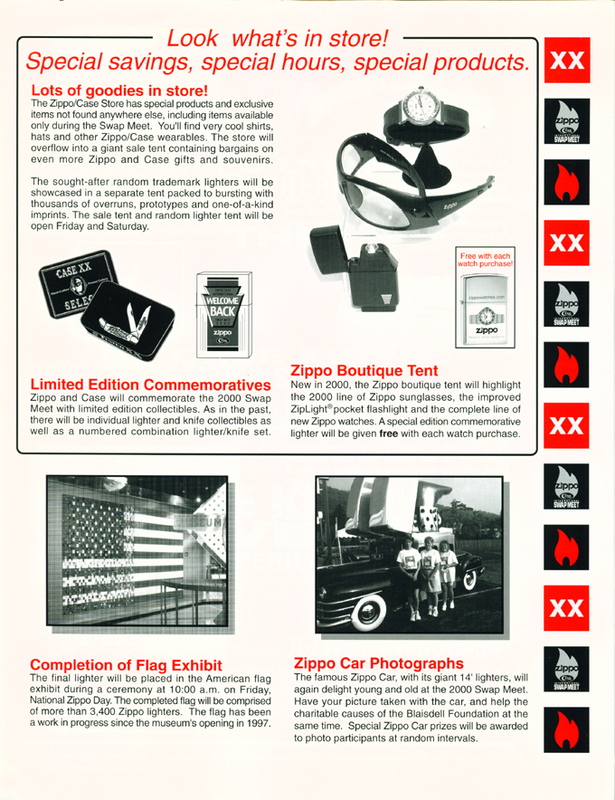 Eighteen different models were announced in the sales brochure shown below. 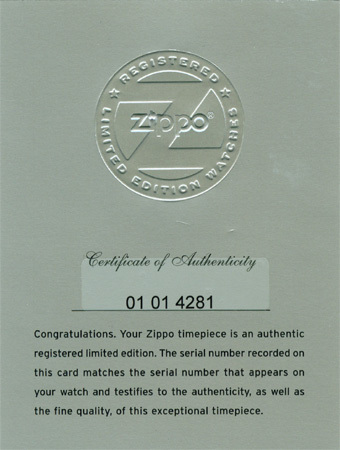 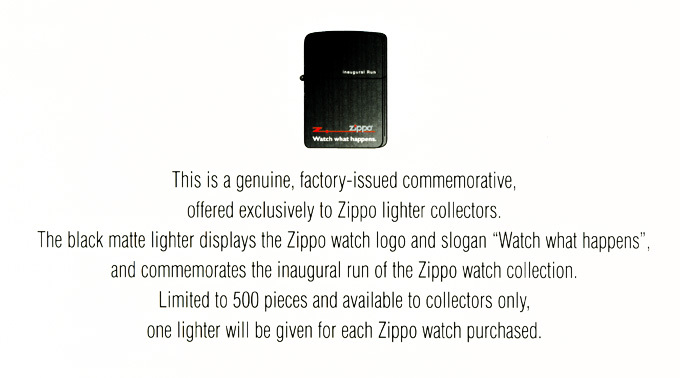 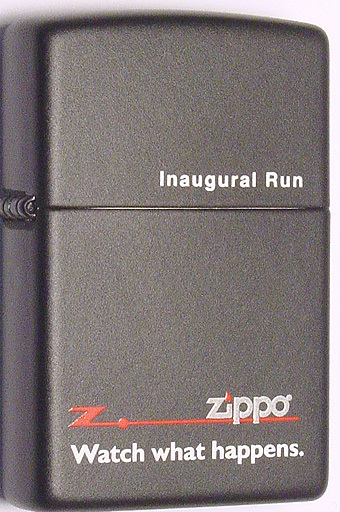 Two special sales promotions were held in spring 1999 & in 2000 at the Swap Meet each with a limited edition Zippo lighter only given to buyers of a wristwatch for free. 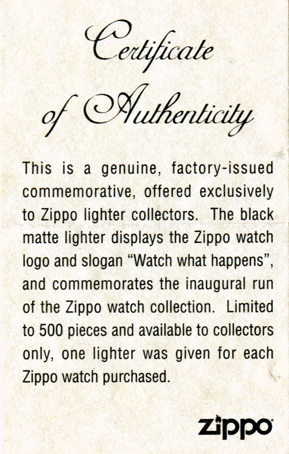 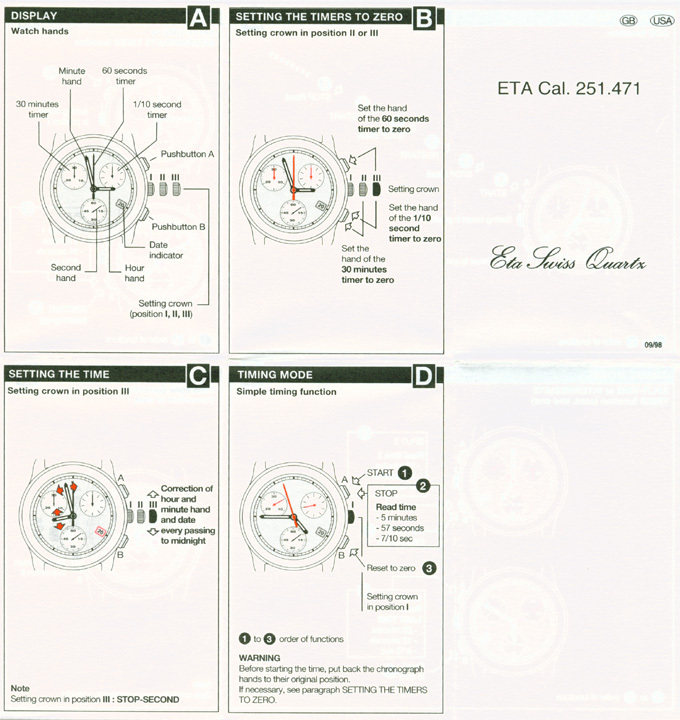 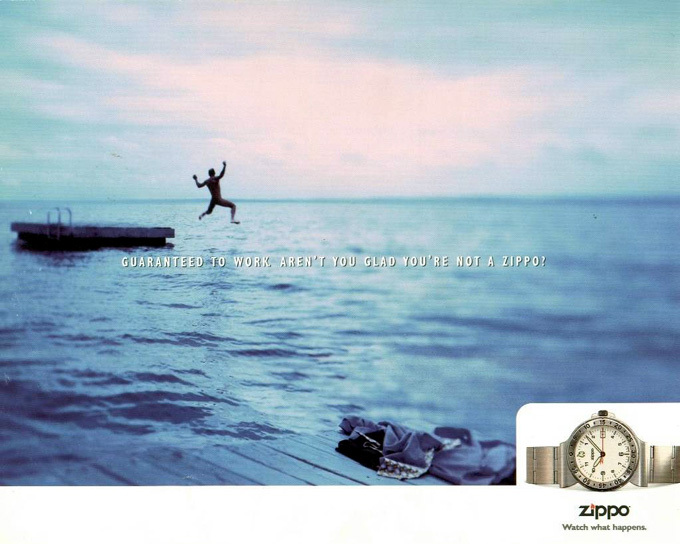 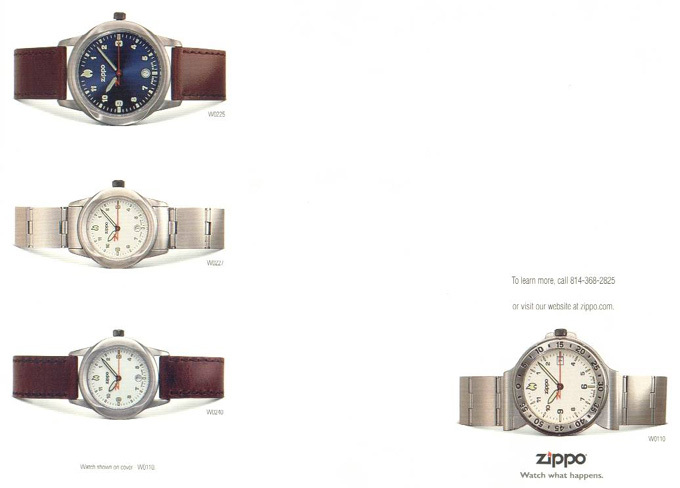 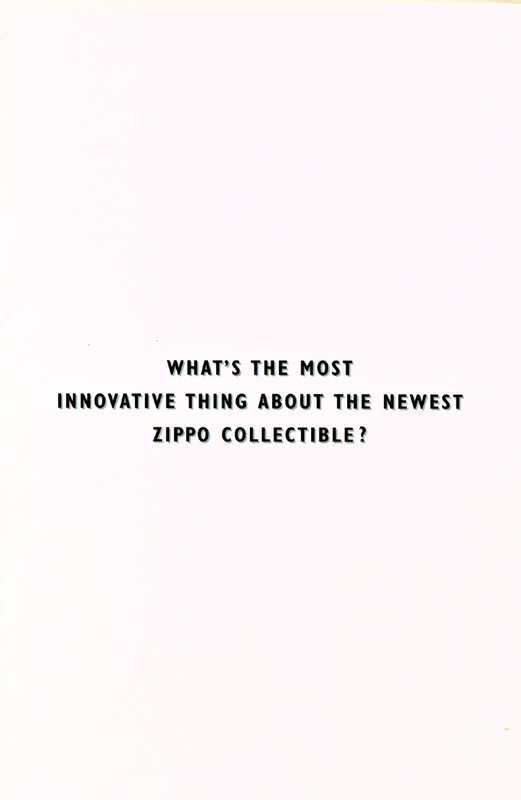 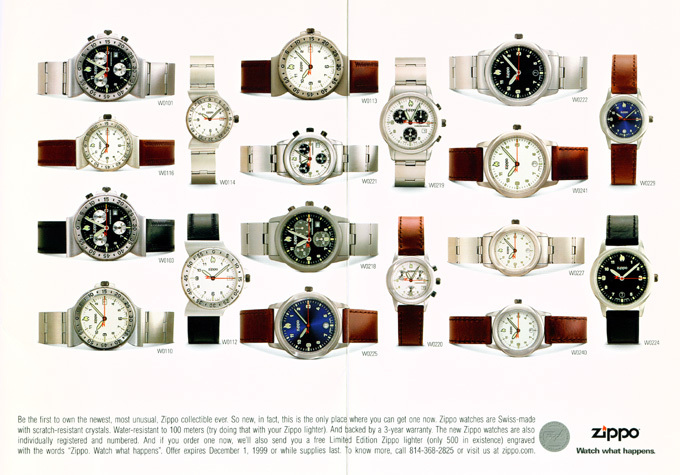 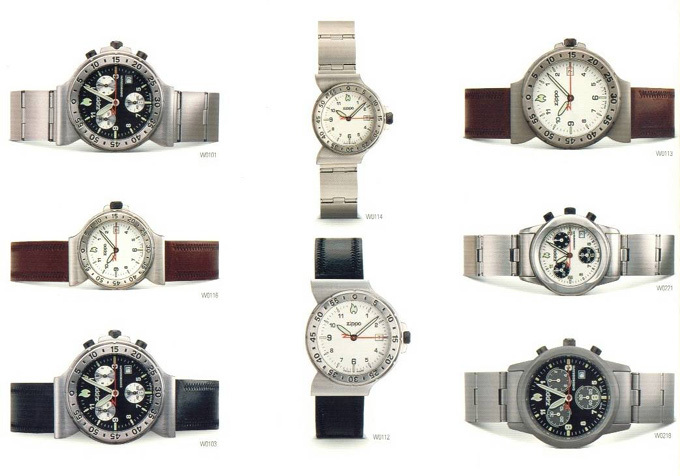 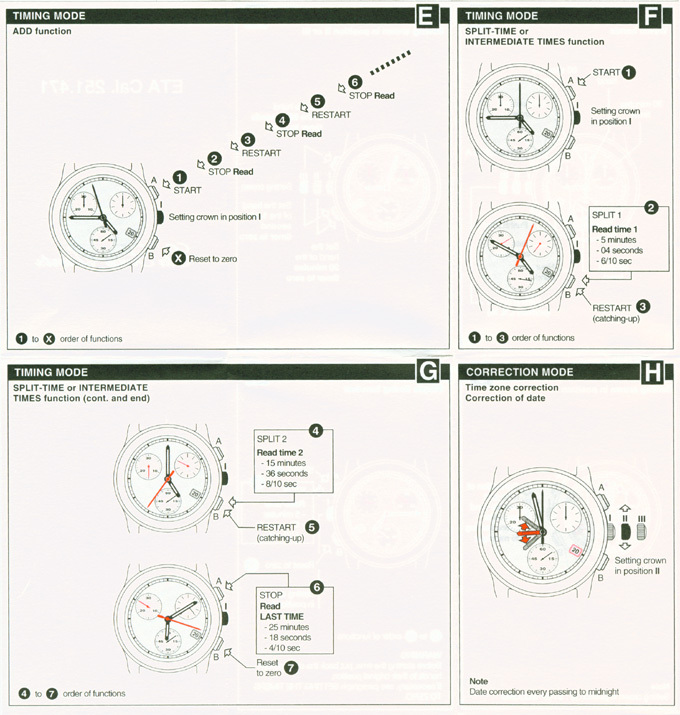 The official Zippo wristwatch dealer catalog showing each model available.